Measures: 8 inches tall x 6 inches wide. Product ID: 65258 Categories: General, Gift Ideas. 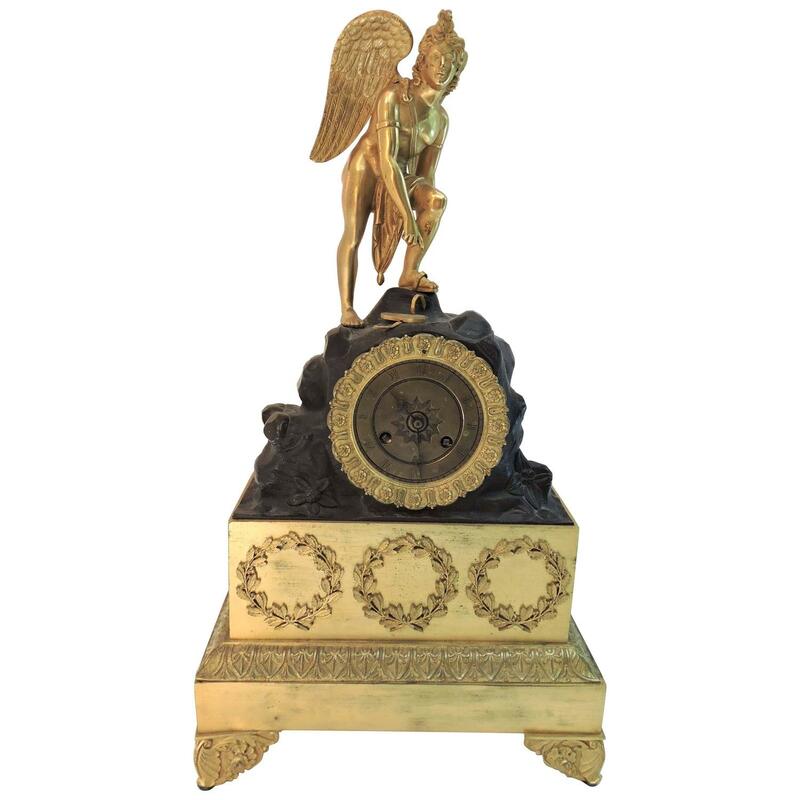 A gilt bronze and patina bronze clock with winged figure standing over rocky hill with broken sandal. Much reminiscent of the famous Hermes fixing his sandal sculpture. Mixture of gilt bronze and patinated bronze. French movement with pendulum hung by silk thread. Chime rings on the half hour and the hour. No visible makers mark – although there is a star mark on movement. Dates late 19th century, France. A Victorian era walking stick with gold filled knob and brass foot. The gold filled top is beautifully hand chased and inscribed ” Li Buie 1882″. The shaft is ebonized and the measurement of the entire stick is 31 inches in length. Measures: 31 inches in length.